Tonight I finished Lesson 10. 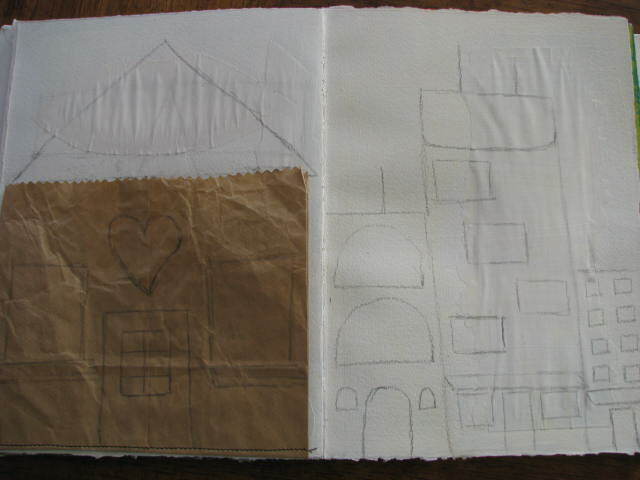 Starting with two blank white pages, first draw an outline of a house, could be your house, a dream house, or any house. 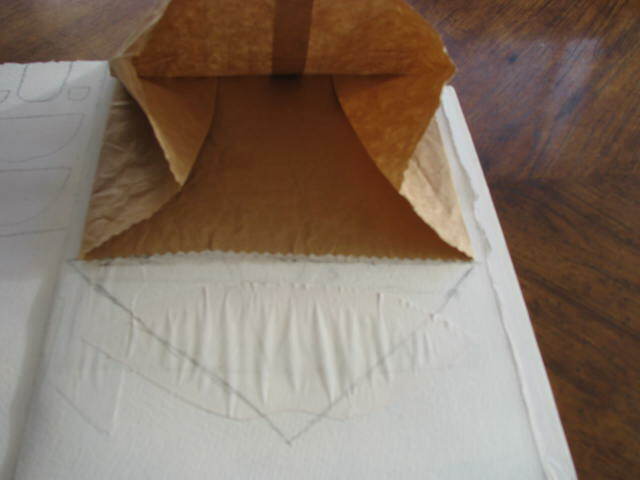 Grab a brown shopping bag and cut the outline of the house (not the roof) out, then glue it down to the page so that you form a pocket. Hmm, I varied this a bit. 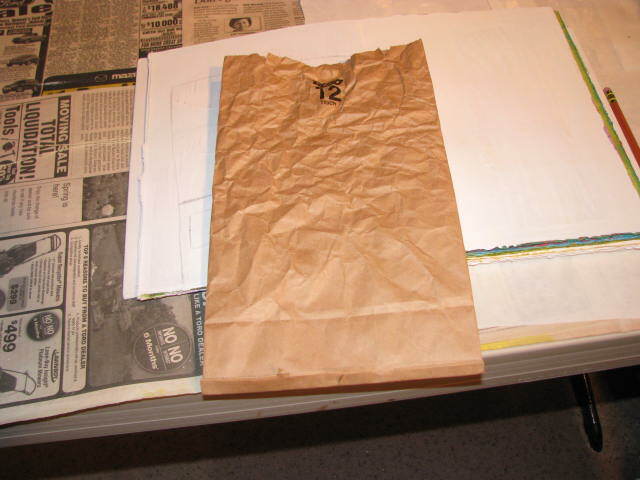 I used a recycled brown bag and cut off the bottom, folded the edge up and sewed a seam on the bottom to hold it closed. I then cut the top with a pair of pinking shears to give it more pizazz at the roof line. I glued this down and now have a nice pocket to put things in later. For the second page, I drew imaginary buildings, not too far off from the ones that I visit in San Francisco. (Did I tell you that I was headed for San Fran? 🙂 I will be visiting SF MOMA this weekend for the Frida Kahlo exhibit and then working at my job for the rest of the week.) The buildings represent those that I love in San Fran – the Britex Fabric Store, the Starbucks in Chinatown and the Flax Art Supply store. At least that is what I have planned.